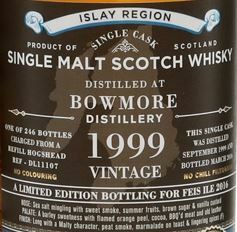 It’s Bowmore open day at the Feis Ile, so let’s have some Bowmore! And since I don’t have one of the official Feis Ile bottles at my disposal, I did the next best thing and grabbed this year’s Feis Ile bottling from Douglas Laing, a 16 years old Bowmore from a refill hogshead. As it is always the case with the Old Particular series, this is a single cask release (with a yield of only 246 bottles this time) and is neither colored nor chill filtered. Last year’s Laphroaig 2001 Feis Ile Bottling was absolutely outstanding, so I have high expectations for this one. Surprisingly mineral and salty (sea salt), with a good portion of peat and sweetish vanilla flavored smoke. Peaches, alongside other orchard fruits. Hints of cacao powder and smoked ham. Maybe some wild berries. Lots of sweet barley at first, followed by chili chocolate and frosted orange peel. Gets more chocolaty, reminds me quite a bit of a thick chocolate drink now. Ends on notes of green apples. Long. The peat smoke comes back. Malty and slightly spicy with fruity sweetness. A little bit chocolaty, too. Maybe a bit too spicy and raw on the palate, but besides that, this is another well selected Feis Ile bottling from Douglas Laing. It’s definitely worth the price (about 150€) if you don’t mind to pay a Feis Ile premium. That said, I liked last year’s Laphroaig a lot more, but maybe that’s because I prefer Laphroaig over Bowmore in general. 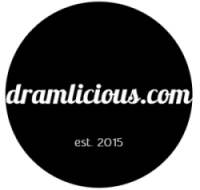 Anyways, if you are lucky to find a bottle, go ahead and buy one. You will not reget it!